The activities of bandits who abduct people for ransom have scared away senior military, security and other government officials from the famous Abuja-Kaduna expressway. 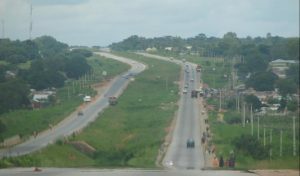 The dual carriage Abuja-Kaduna road links the Federal Capital Territory with most cities in the northwestern part of the country. Investigations revealed that the top security officers ,politicians,VIPs and even Nigerians now avoid the road . Police IG last week launched a new security outfit to checkmate the incessant kidnapping and armed banditry on the road.